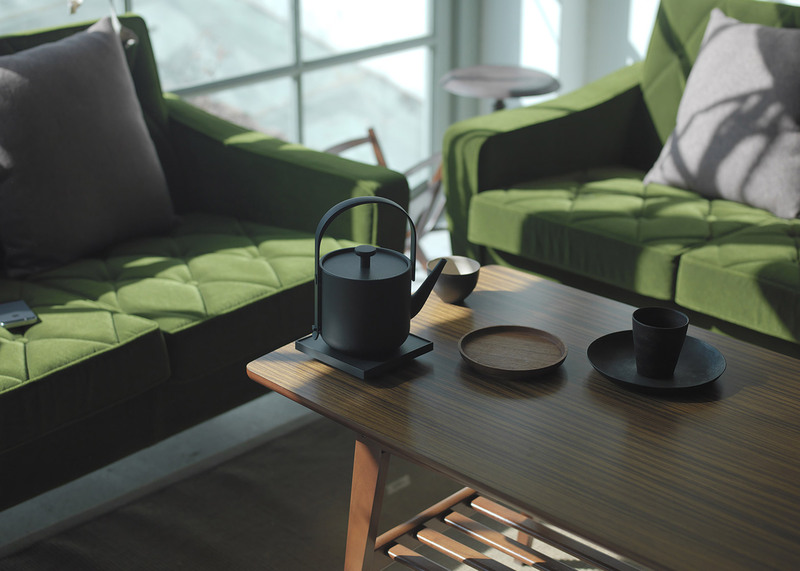 The Teawith kettle is designed to be more petite than standard appliances, so that it can be placed decoratively on a living room shelf, side table or the corner of a desk. It is capable of boiling enough water for just two people at a time. 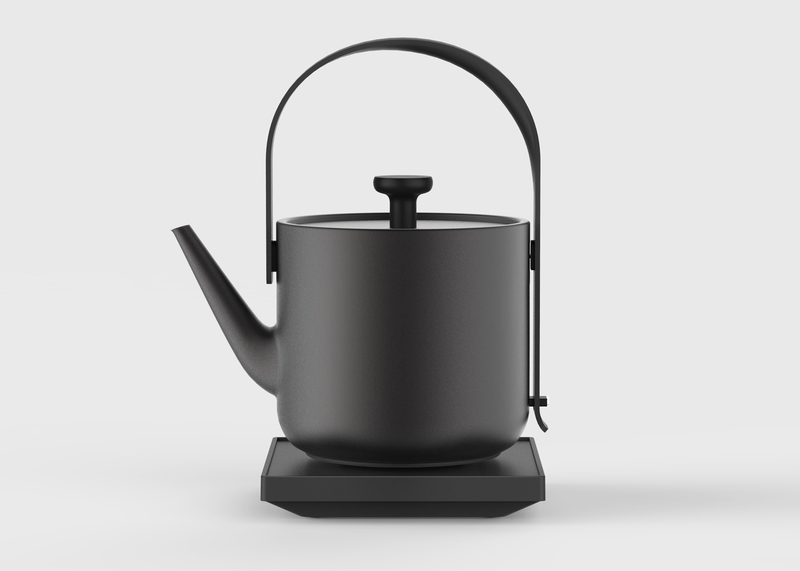 The appliance features a rounded die-cast aluminium body, and an arched handle based on traditional oriental teapots. It sits on a square base. "The whole product is more delicate and modern, to allow people to use it in varied locations," said Hu, who is graduating from the MA Design Products course. 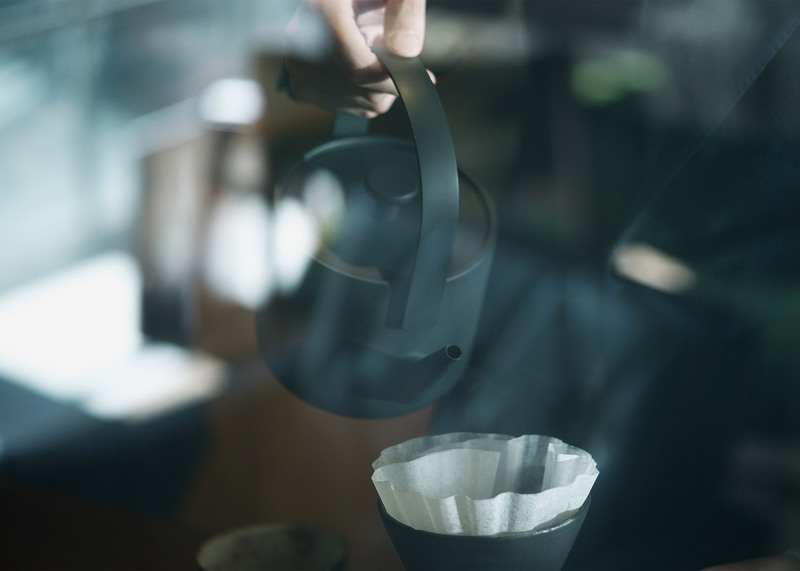 The kettle is turned on by pressing the handle down, and Hu has designed the narrow spout to give users greater control over the pour. 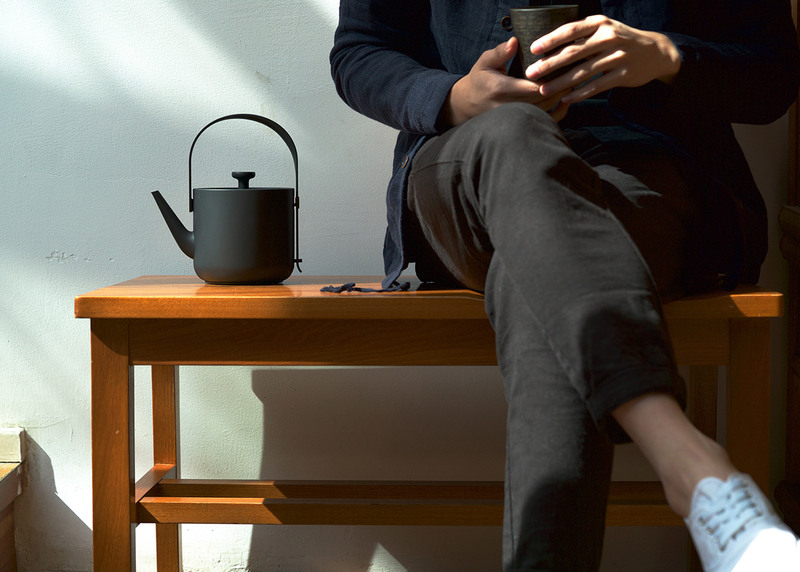 The designer created the Teawith kettle as a response to the increasingly blurred lines between domestic areas, as well as the high numbers of people inhabiting shared or rented accommodation. "The main focus point was dissolving boundaries, the kitchen becoming part of the living room, which I think is a trend," he told Dezeen. "Also people living in the city area will have a much smaller space, and the majority of young people live in rented or shared places, so they will need a more dynamic lifestyle and more compact objects." Hu launched the design on Chinese crowdfunding platform JD.com in March, and has since put the appliance into production. 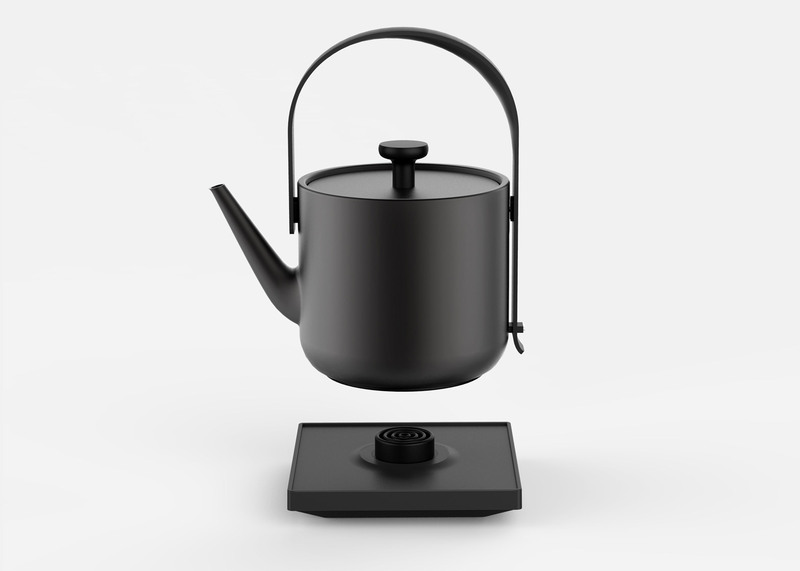 Design Academy Eindhoven graduate Nils Chudy has also designed a more efficient kettle, using an induction plate and metal rod to heat up a single cup, rather than an entire jug of water. Hu's kettle was on display as part of the ShowRCA 2016 graduate exhibition. 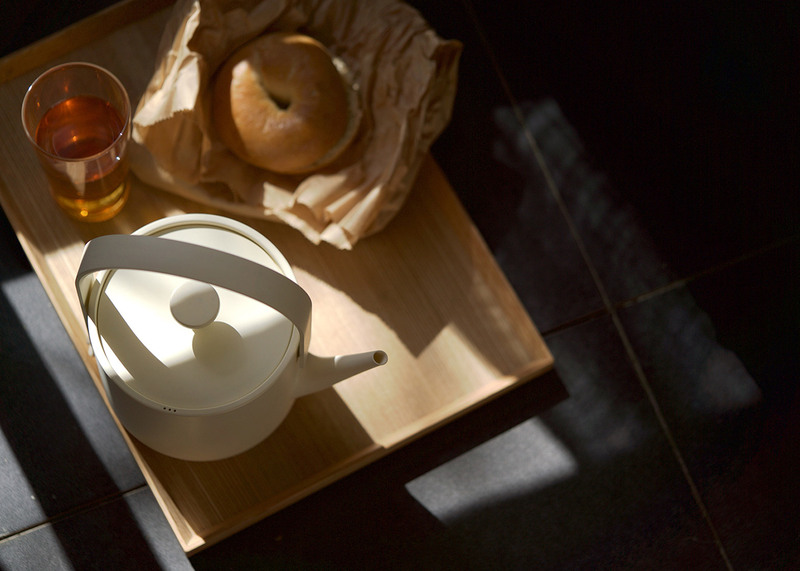 Fellow RCA student Hyerim Shin has also tackled kitchen appliances with a range of "cute" products, including a toaster that sneezes crumbs and a vacuum cleaner that poos when it's full. Dezeen is media partner for the exhibition, which is taking place at the Royal College of Art's Kensington campus from 26 June to 3 July.